I joined the Blackthorns team in September 2018, after finishing my A Level studies. 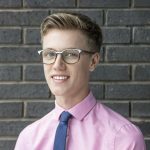 I am a trainee accountant on a level 4 apprenticeship working towards obtaining the ACA qualification. When I am not working, I am either playing, watching or thinking about football. I enjoy listening to a wide variety of music, exploring and visiting new places.